Dunno how I missed that while I had the cover off, but there it is. 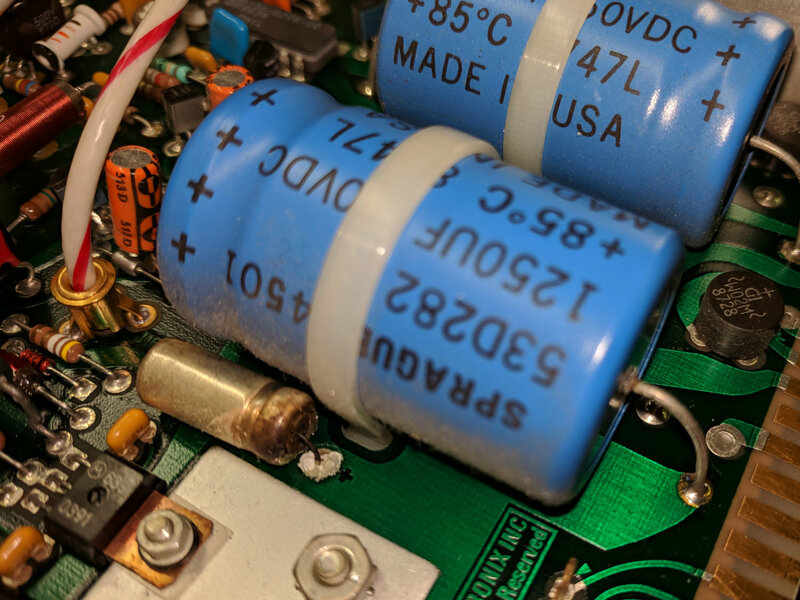 For future reference it’s C165, 47 µF 50 V, with an 8709 date code. 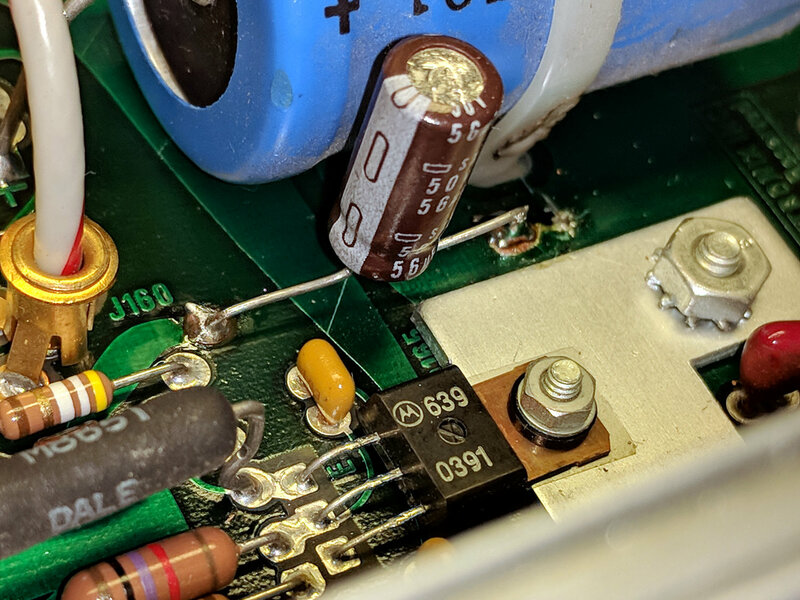 This being a PCB made back in the old days, likely with self-adhesive tape strips, the component pads inside ground and power pours lack thermal isolation decorations. The new cap is 56 µF 50 F, which seems Close Enough. The other caps have reasonable ESRs, but I must lay in a stock of high-voltage ‘lytics, as the “new” one is definitely old enough to know better, too. Now that I check, the amp still produces a very low amplitude 2 MHz sine wave on its 1 mA/div and 2 mA/div settings, suggesting Something Is Not Right™ in the front end, but it works well enough to let me defer that fix until later.